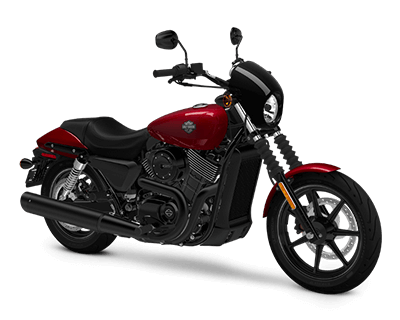 The lightweight, easy handling Harley-Davidson StreetTM models are a great choice for many beginning riders from Lakewood to Aurora, CO and from throughout the greater Denver area. 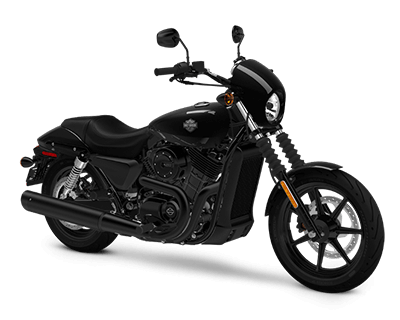 These nimble street bikes represent the most recent additions to the Harley-Davidson lineup and are becoming quite popular with younger urban riders who want a bike that combines authentic Harley-Davidson styling with the responsive performance needed to take on the challenges of busy city streets. With this in mind, Harley-Davidson developed the all-new liquid-cooled RevolutionTM X engine. Specifically designed to help the Harley-Davidson StreetTM models stay at an even temperature in stop-and-go urban traffic, this innovative power source also can provide the kick you need whenever there’s a break in the gridlock. Answering the needs of the urban rider, the Harley-Davidson StreetTM 500 is light and nimble, with a low center of gravity and plenty of low-end torque, built to provide effortless handling at varying RPMs. Powered by a 494cc liquid-cooled Harley-Davidson® V-Twin engine, which is paired to a 6-speed transmission, you’ll get a smooth ride at any speed. The wheelbase measures 60.4 inches, so you can confidently take those tight turns and successfully negotiate even the most snarled of city streets. The Harley-Davidson StreetTM 750 is all about character and soul. With its classic custom profile accentuated by a blacked-out front end, metal teardrop tank, low-riding two-up seat, and blacked-out two-into-one exhaust, this is a bike that exudes attitude and heritage. With a 749cc liquid-cooled engine and 6-speed transmission, the Harley-Davidson StreetTM 750 is quick to respond to the throttle and smoothly transitions from idle to full-on acceleration, and back.